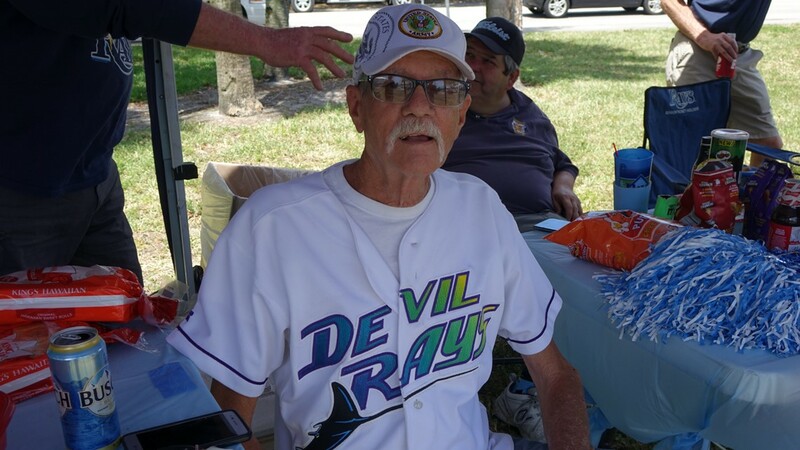 This Tampa Bay Rays fan has been to every Opening Day since the team was formed in 1998. 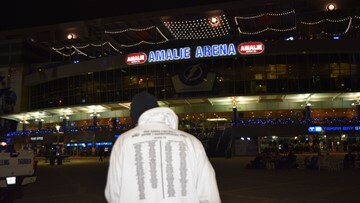 He is pictured here on Thursday, March 28, 2019. 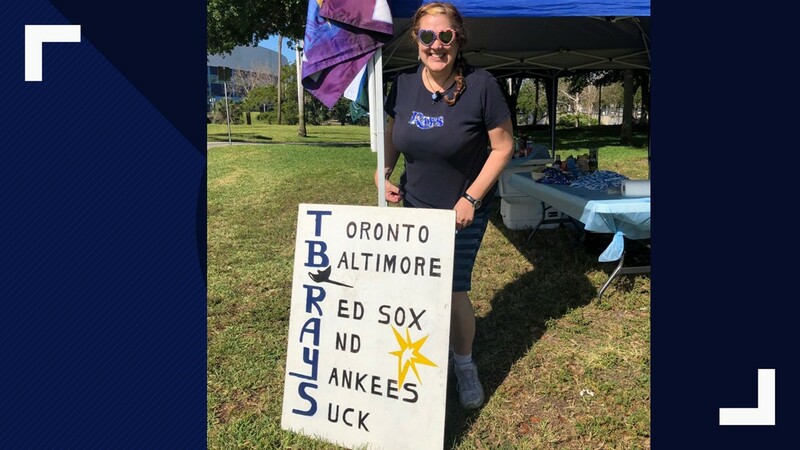 Rays fans Bilie Jo Bell poses with a homemade sign on Opening Day on Thursday, March 28, 2019, outside of Tropicana Field in St. Petersburg, Florida. 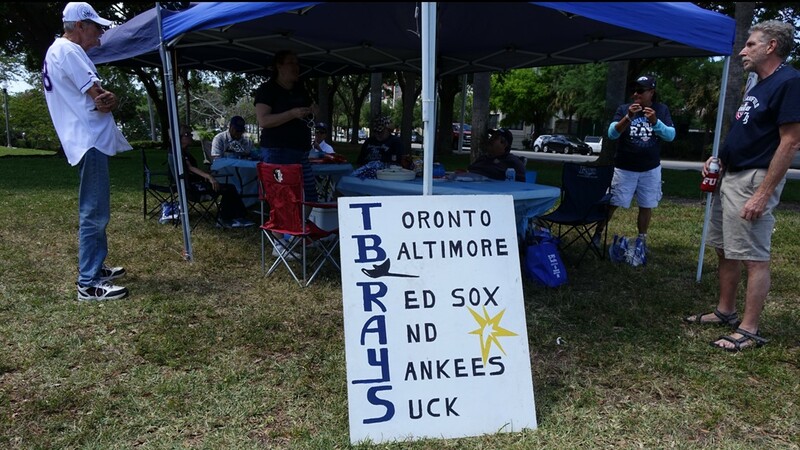 Fans tailgate outside of Tropicana Field on Opening Day on Thursday, March 28, 2019. 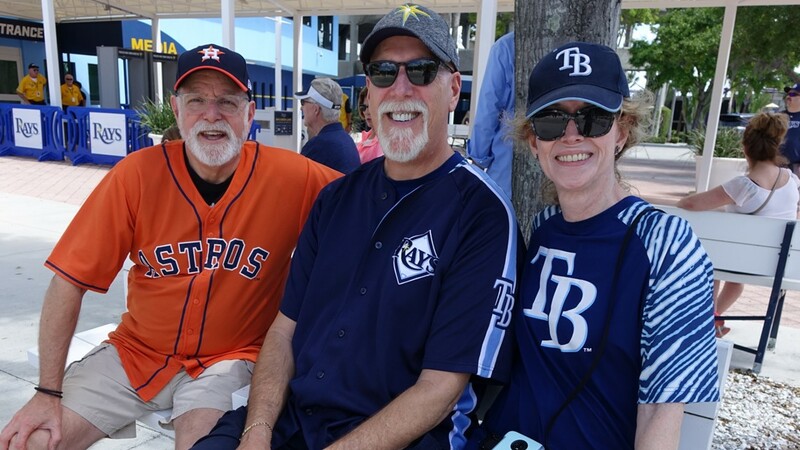 Fans pose for a picture on Opening Day on Thursday, March 28, 2019, outside of Tropicana Field in St. Petersburg, Florida. The Tampa Bay Rays hosted the Houston Astros. 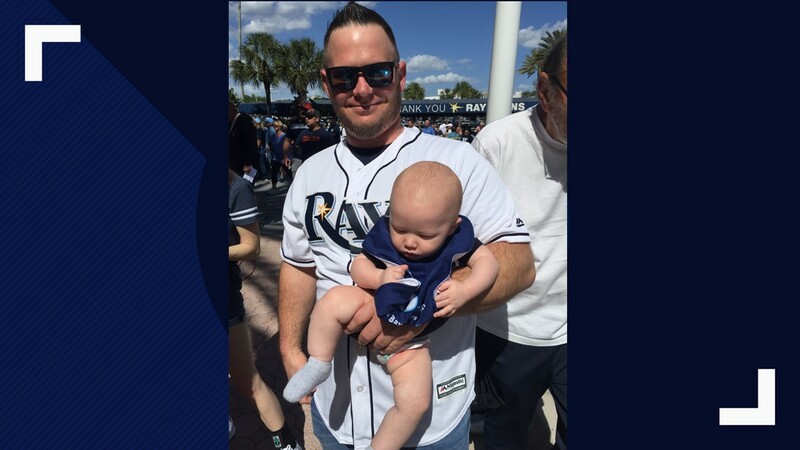 A Rays fan holds a baby on Opening Day on Thursday, March 28, 2019, outside of Tropicana Field in St. Petersburg, Florida. Tampa Bay Rays fans wait for autographs on Opening Day on Thursday, March 28, 2019, at Tropicana Field in St. Petersburg, Florida. 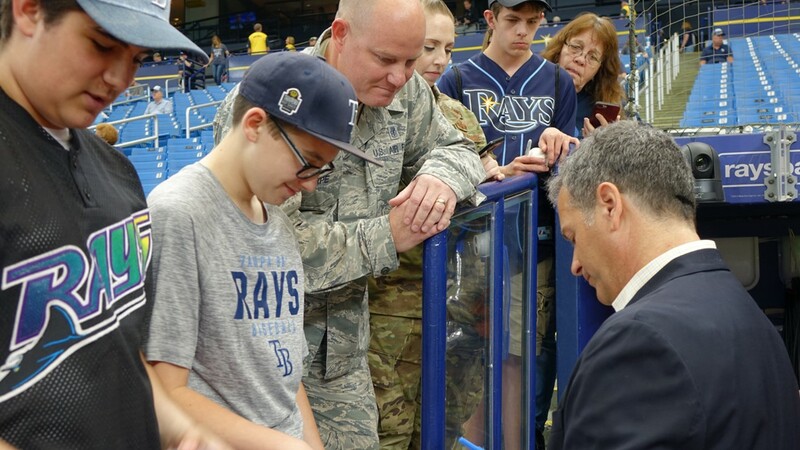 Tampa Bay Rays Owner Stuart Sternberg signs autographs for fans on Opening Day on Thursday, March 28, 2019. 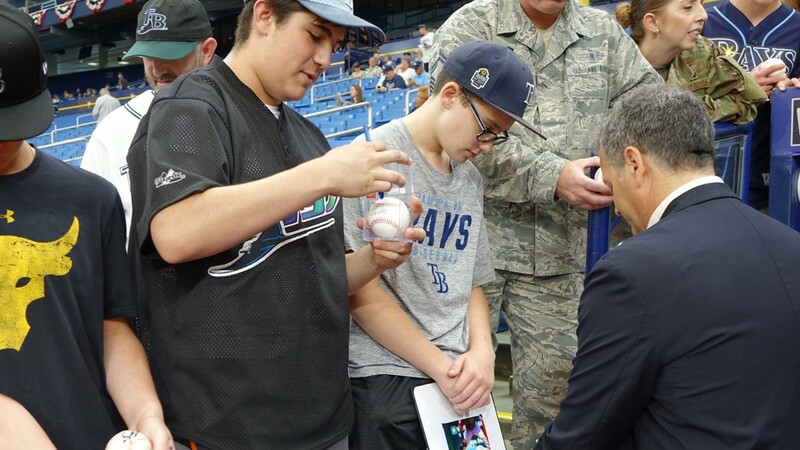 Tampa Bay Rays owner Stuart Sternberg signs autographs for fans on Opening Day on Thursday, March 28, 2019, at Tropicana Field. 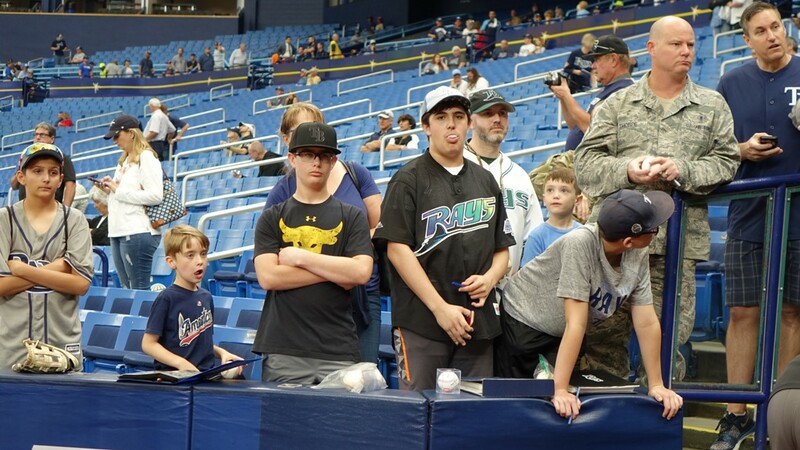 Tampa Bay Rays fans wait for autographs on Opening Day on Thursday, March 28, 2019. 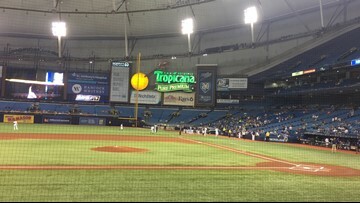 Tropicana Field on Opening Day on Thursday, March 28, 2019. 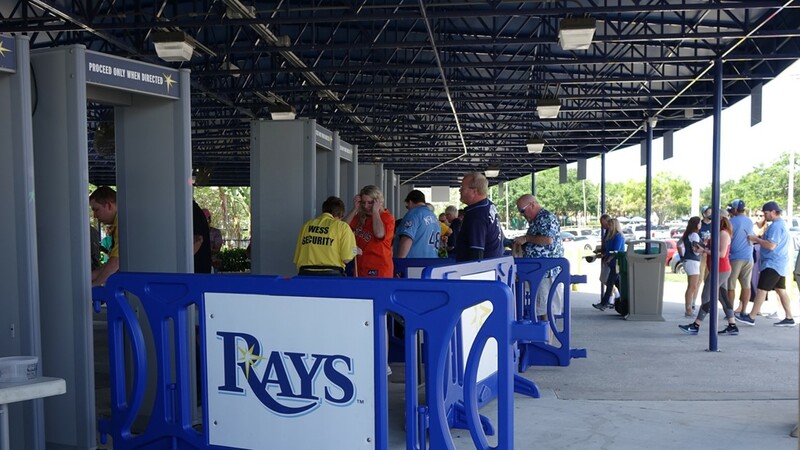 Tampa Bay Rays enter through security at Tropicana Field on Opening Day on Thursday, March 28, 2019. 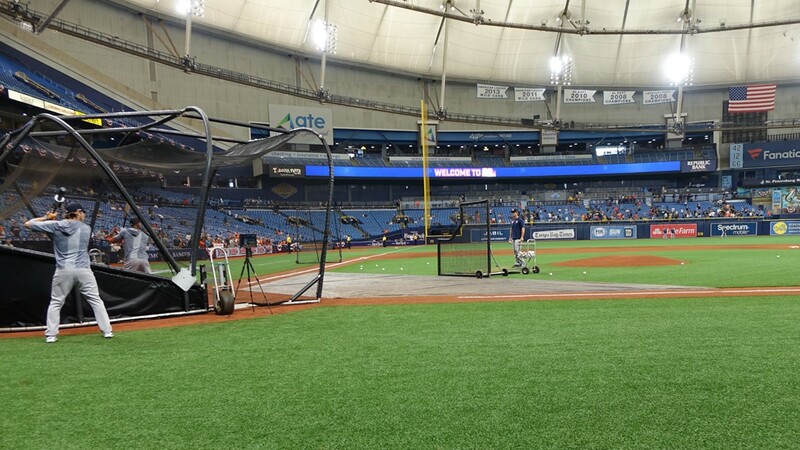 The Houston Astros take batting practice on Opening Day on March 28, 2019, at Tropicana Field in St. Petersburg, Florida. 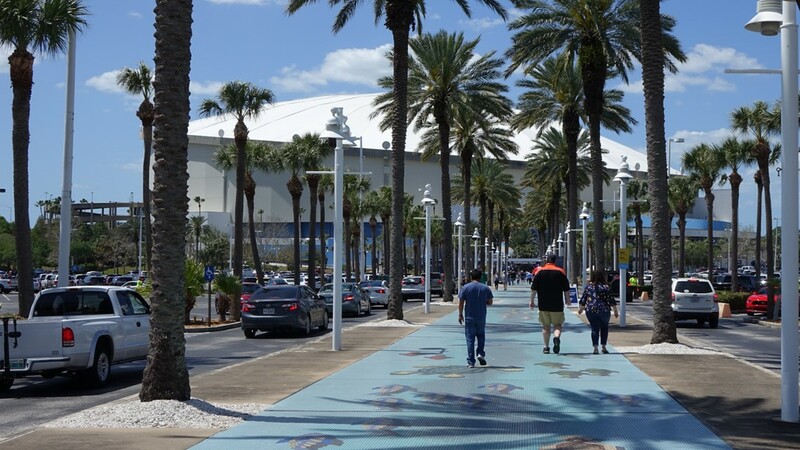 The exterior of Tropicana Field is photographed on Opening Day on Thursday, March 28, 2019. 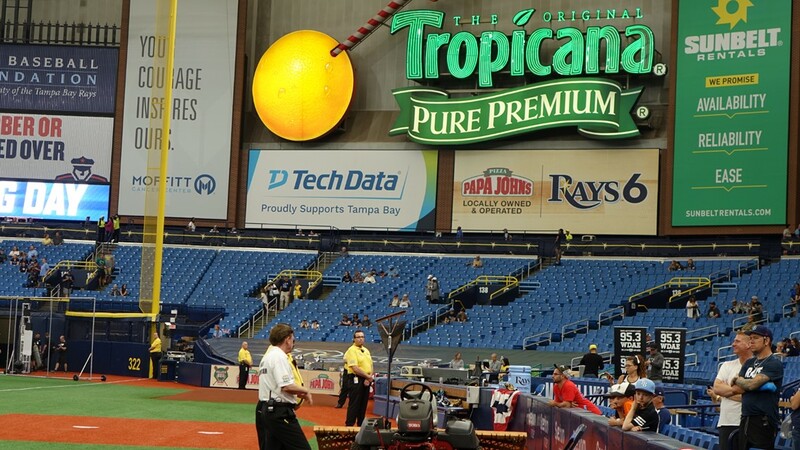 Tropicana Field is pictured on Opening Day on Thursday, March 28, 2019. 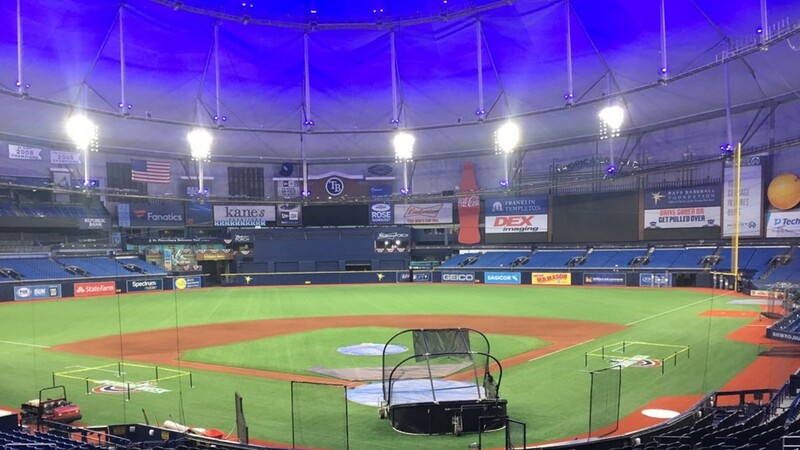 The Tampa Bay Rays have experimented with blue lights to help fielders track foul balls. They did not use the blue lights on Opening Day 2019.